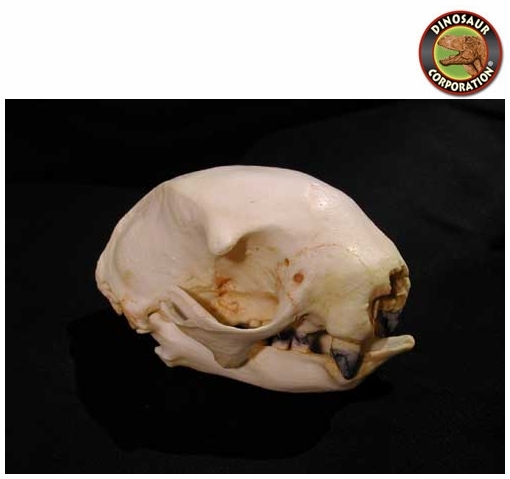 Hoffman's Two-Toed Tree Sloth Skull. Choloepus Hoffmani. Female Skull. Arboreal/Nocturnal, from tropical rain forests of Central and South America. Polyurethane cast of an original California Academy of Sciences specimen. Hoffmann's Two-Toed Tree Sloth (Choloepus hoffmanni) is a species of sloth from Central and South America. It is a solitary, largely nocturnal and arboreal animal, found in mature and secondary rainforests and deciduous forests. Hoffman's Two-Toed Tree Sloth adults range from 54 to 72 cm (21 to 28 in) in head-body length, and weigh from 2.1 to 9 kg (4.6 to 19.8 lb). Although they do have stubby tails, just 1.5 to 3 cm (0.59 to 1.18 in) long, this is too short to be visible through the long fur. The claws are 5 to 6.5 cm (2.0 to 2.6 in) long. Females are larger on average than males, although with considerable overlap in size.